“The Will for Life”. Energy Portrait of Alexey. “It is unlikely that there could be a person, except me, who could see in this portrait a documentary photograph. But for me it looks exactly like that. Now I’ll tell you. Once in one shop I found three laces, hanging next to each other. 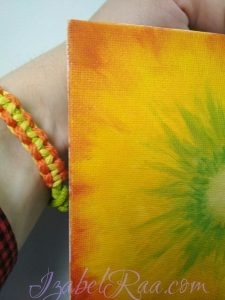 Orange, yellow and lime-green. And I so liked this combination of colors! 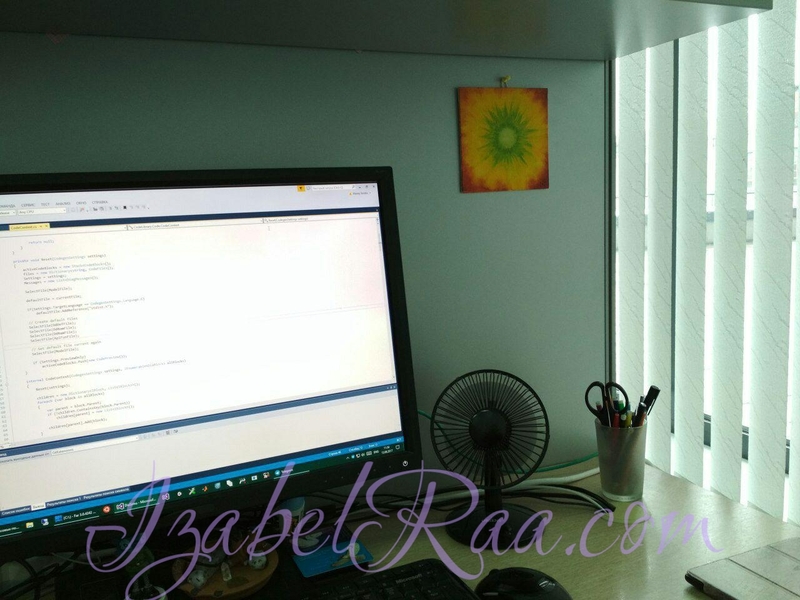 Optimism, liveliness, immersiveness in the vortex of fruitful activities, joy and excitement. Well, just an explosion of feelings. I wanted to weave a bracelet for myself with those colors. 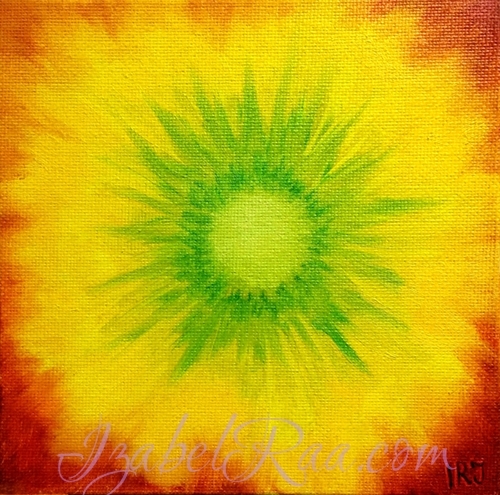 At that time, Izabel offered to order an energy portrait painted by her. And I was so curious how she sees me, that I could not resist the temptation. We made arrangement. And once I get a text message from her that she is going to paint my portrait and asks me to tune in and to not think. I was stunned. How could she see these colors so clearly? !